Robert Pattison took a stroll down memory lane and rewatched The Twilight Saga: New Moon. If anything big that existed in the cinema world during the late 2000s and early 2010s, it's surely The Twilight films. Based on the novel series by Stephenie Meyer, the young-adult franchise that follows the storyline of an intriguing romance between a mortal (Kristen Stewart) and a vampire (Robert Pattison) was not only loved by many, but also contributed in breakout successes of its casts. However, last year the film's lead actor aka Pattison jokingly admitted expressing that he didn't fancy his own vampire films. Speaking to Variety the actor said he "stopped mentally progressing around the time when I started doing those movies." But, it appears Robert has changed his mind. 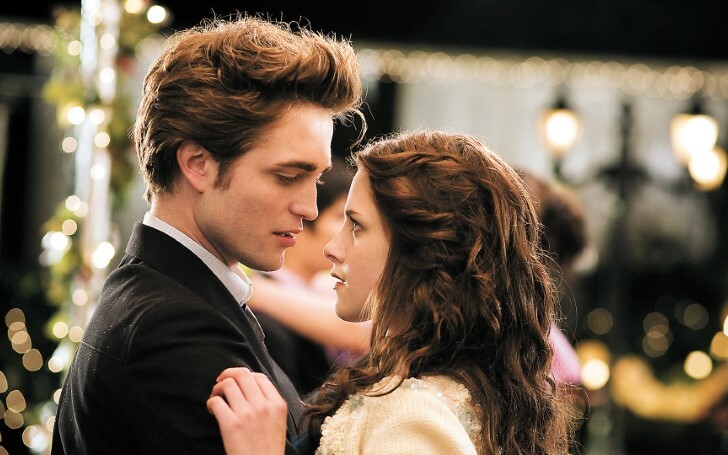 Robert Pattison and Kristen Stewart as Edward Cullen and Bella Swan. As the film celebrates its tenth year anniversary this year, the 32 years old actor revealed in an interview with USA Today that he recently watched the New Moon, a second portion of the series, and in fact, mentioned how pleased and surprised he was by the film's soundtracks. The 'High Life' actor who now does indie films after displacing his interest in doing similar films to Twilight, says his perspective on the film is changed and reveals he only has a soft spot and 'warm memories' regarding his role as Edward Cullen. In his words, he told the publication: "It seems like with younger people in their late teens, early 20s, it's sort of become quite a hip thing to like. It's a fascinating second wave of people appreciating it, which is kind of cool." Also see: 'Chrisley Knows Best' Star Savannah Chrisley is Engaged to Nic Kerdiles! The actor added: "I think when anything becomes a massive phenomenon, there's always people who get annoyed because it's just everywhere. But now it seems like a retro thing: the soundtrack, the fashion. It's like, 'Oh, that's so late 2000s.' "
Robert then revealed to the outlet how he watched the 2009's film 'just the other day' which was on TV, adding: "it genuinely does have an incredibly good soundtrack. I completely forgot, but the soundtracks were quite ahead of their time." Speaking of their popularity from the films, Pattison and his co-star Stewart previously admitted feeling anxious when they were on the early height of the film's fame and succession because of the heavy attraction and obsession from the fans and media. On the context, the actor now grateful how it has changed over the years, as he said: "It’s lovely now that the mania is not so intense. People come up (to me) and just have very fond memories of it. It’s a really sweet thing. I think the only scary part was right in the thick of it all when it was very, very intense. Now the intensity has died down and it’s just very warm memories." Following the end of the film series in 2012, both Kristen and Robert have appeared in multiple successful films taking on impressive roles. Well, all thanks to their Twilight film career.